Jon has been developing and validating genetic profiling tools for population structure and individual identity for >30 years, including the first published application of DNA fingerprinting to wild animals, and the creation of suites of minisatellite probes and STRs which were applied in population surveys and forensic casework. 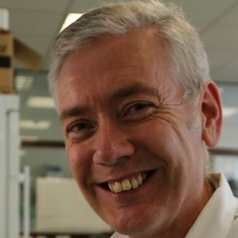 As a senior researcher at the Forensic Science Service (FSS) for 13 years, he led a team developing sensitive species- and matriline-identification tests based on mitochondrial DNA (mtDNA), and validated Y-SNP (single nucleotide polymorphism) and Y-STR (short tandem repeat) tests for human casework. He also developed low-copy number (LCN) autosomal STR mixture interpretation, and invented novel DNA taggants for security applications. Following the FSS closure Jon moved to Leicester to pursue his interest in applying genetic markers to tracing historical population migrations as part of the Leverhulme-Trust-Funded Diasporas Program. He was invited by Hampshire Police to create a cat mitochondrial DNA database to evaluate the significance of hairs found on a murder victim that genetically matched the suspect’s pet. He is currently working full time on a number of forensic projects.